Once again, it’s time for a “better late than never” review from yours truly. 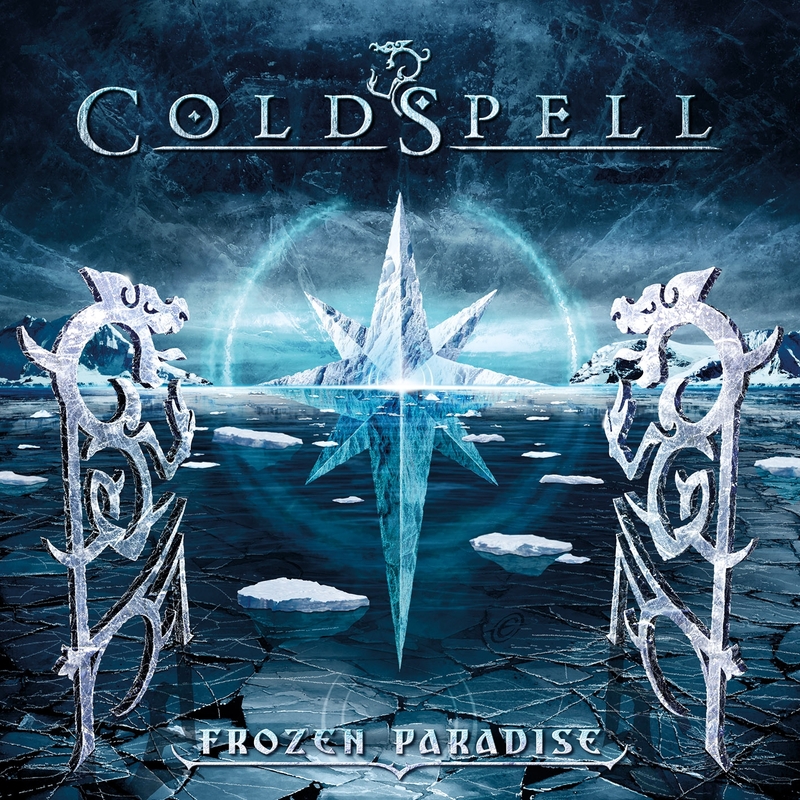 Released in the later part of 2013, “Frozen Paradise” is the third from Swedish band ColdSpell. Quite what has changed in my musical tastes I really don’t know but the last few weeks have seen me had some much heavier stuff to my listening buffet table ….. and that, I suspect, is why I never quite got this one done sooner – my first listens were at a time when light and fluffy was my particular pleasure. Formed in 2005 by guitarist and songwriter Michael Larsson the first album, “Infinite Stargaze” released in early 2009, drew influences from a mixture of everything they grew up with from the groove of the 70’s to the choruses and melodies of the 80’s, mixed with the raw and naked excitement of the 90’s, not forgetting the production expertise of the millennium. They followed this up two years later with “Out from the Cold” and September 2013 saw the release of “Frozen Paradise”. This is an album of classic sounding hard rock. Sure, it will appeal to AOR fans (assuming you like the harder edged stuff!) but here is an album built on swaggering hiffs, melody and choruses that bring a huge smile. In parts this is reminiscent of Whitesnake – but somewhere between the Original and the Hollywood versions. Polished production with great sound and tone, awesome guitar sounds but without needing to rely on the flash techniques that came to signify ‘Snake post 1987. Videos have been made for “Paradise” and “Soldiers” (check them out on Youtube now) but other big tracks include “Alive”, “Legacy” and “On the Run”. However, it is unfair to highlight individual songs as this is a collection of 11 tracks that work together and, to me at least, represent the “no filler” rule of the greatest albums made. Another of my recent “finds” that bears repeated listens and gets better the more familiar the tracks become. In fact, so much of a find that this is potentailly the band that I am most looking forward to seeing at next weekend’s HRH AOR in Wales. Watch this space for a review and we are hoping to get an interview with the guys too. For those of you who can’t make Pwll …. er, Wales, the boys are touring the UK alongside UK band Lawless (catch up review for them coming too! ), get to your nearest venue – you will not be disappointed if the strength of these songs is anything to go by!